"Why do I feel so angry? I just can't seem to help myself." 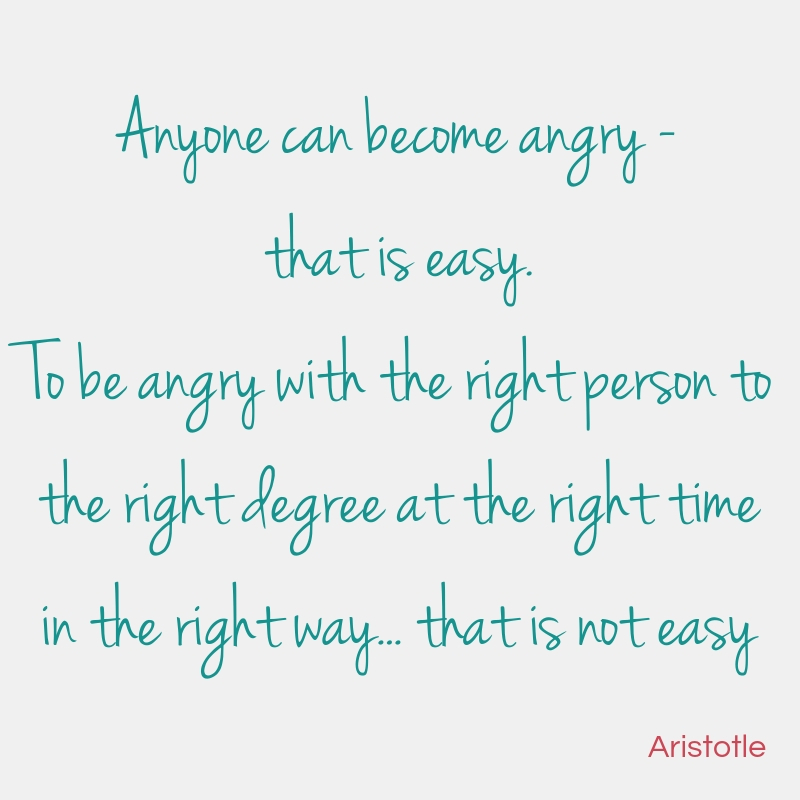 Most of us, if not all of us, get angry at some time or another. This is a perfectly normal reaction and healthy emotion to experience. We do not choose to become angry, but how we funnel this emotion - how we manage our anger when it threatens to become all-consuming is quite literally down to us as individuals. We all have choices on how to manage our anger. Anger is not gender-specific, it treats us all equally. Anger can manifest itself either verbally or physically – both can be equally harmful to those we take it out on. We may feel that we are unable to control these outbursts, this simply is not true, we just have to learn how to manage them. Anger becomes a problem when it interferes with our daily lives, when we spend more time being angry than happy, when we direct our anger at those we love or colleagues at work or the person on the end of the telephone who constantly tells us that our call is important to them. When we have too much anger it can impact on our overall well-being. It can cause significant physical health issues such as raised blood pressure and cardiac problems. Anger is neither good nor bad – it is a natural emotion, exactly the same as laughing or crying. Anger is often linked to depression as mood and emotion work side by side. If you are feeling low you are more likely to experience sadness and anger. This can impact on the way you communicate to others, especially those closest to you. You may also recognise that you becoming more judgemental and have feelings of exhaustion. Your anger may be triggered by recent major events in your life such as retirement, health or financial changes. You may find yourself at a loss now that you no longer have a routine, no matter how much you thought you hated that routine at the time. You may find yourself with your partner 24 hours a day, seven days a week. This is not an easy adjustment to make and can provoke feelings of anger and resentment. There are many ways in which anger can be managed: there are self-help books, antidepressants and therapy. All of these can play a huge part in understanding the triggers for your anger and how to manage it more effectively. The biggest step you need to take is to admit that there is a problem and that you want to do something positive to address this. The friendship M.O.T. Who cares?